With Permanent Magnetic Drive, the CRP-M-CC sealless centrifugal pump meets full DIN EN 2858 and DIN EN ISO 15783 standards. It's 100% leakage free performance allows the safe handling of hazardous and volatile fluids. Applications Petrochemical industry: tank farms, liquid gas. Chemical industry. Refrigeration and heat technology. Auxiliary pump in power plants. Galvano technique. 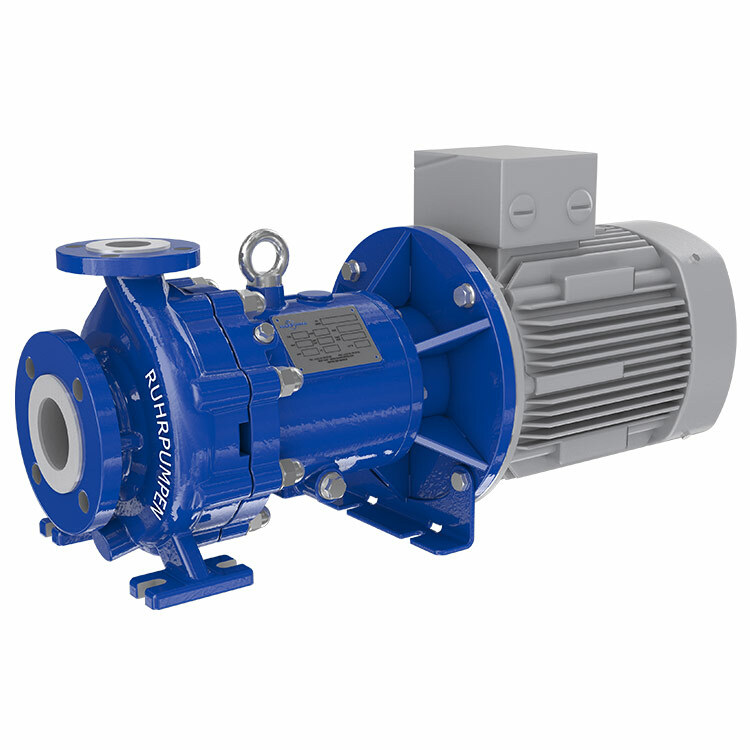 Based on the CRP-M pump with the exception that the bearing support is not required. The driver is connected by an adapter flange to the intermediate lantern. As a 100% leakage free pump, the CRP-M CC avoids the usage of mechanical seals and minimizes maintenance and operating costs. As it eliminates fugitive emissions, it is also the best option for taking care of the environment and meets the requirements of the TA-Luft specification (German Technical Instruction on Air Quality Control).